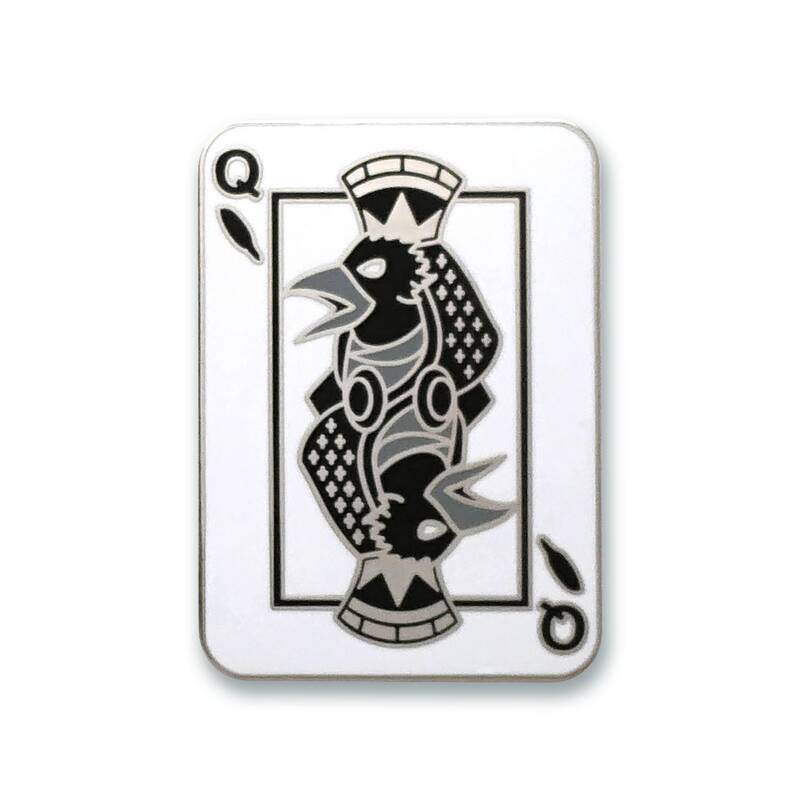 These hard enamel pin depicts the King and Queen of the Court of Black Feathers. I have always had a love of playing card art, especially the court cards. I can remember as a child flipping the king of clubs over and over to see if they had made any mistakes in his mirrored art. I really wanted to play with that classic look and this seemed like a great opportunity. I designed the King first, but what would a King be without his Queen? This posed an interesting design challenge as birds do not have typical gender traits we associate with humans. I had to make sure the design felt different from the king, but also they needed to compliment each other and feel like they were of the same world. 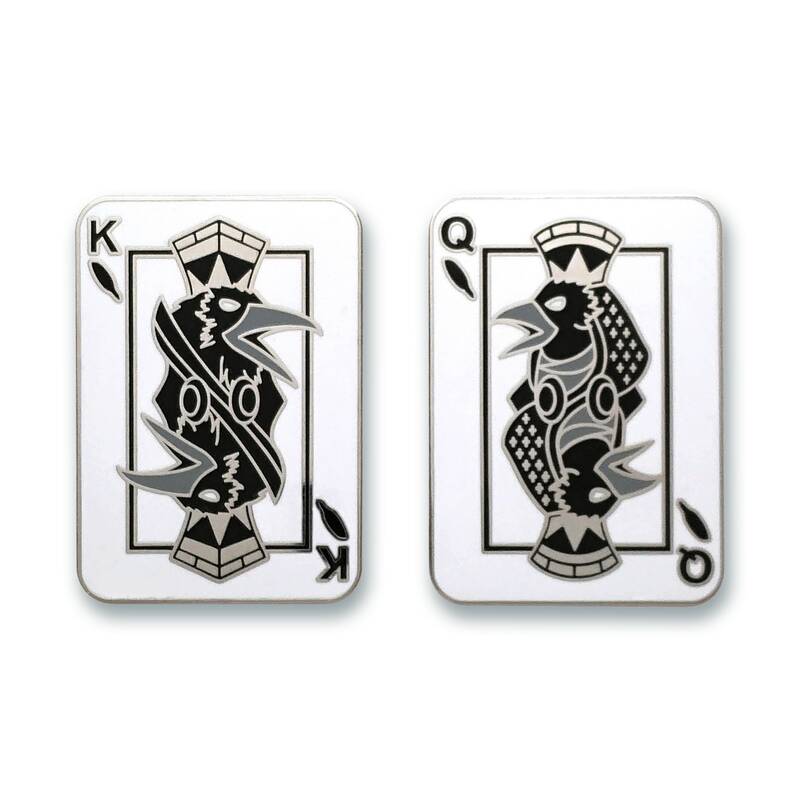 The Queen design easily took twice as long (if not longer) than the king. 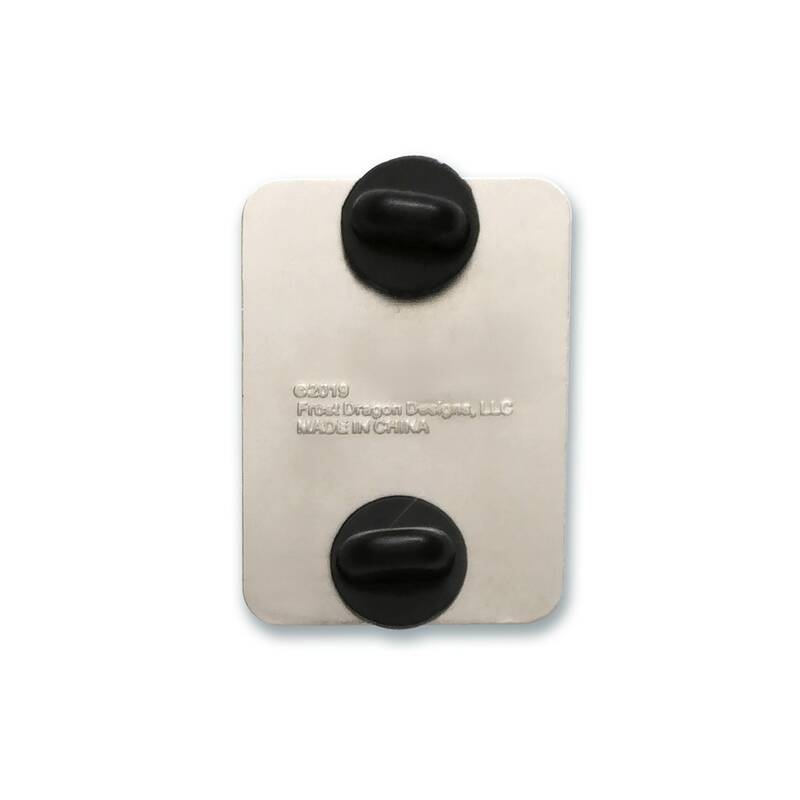 Two posts/clutches on the back. 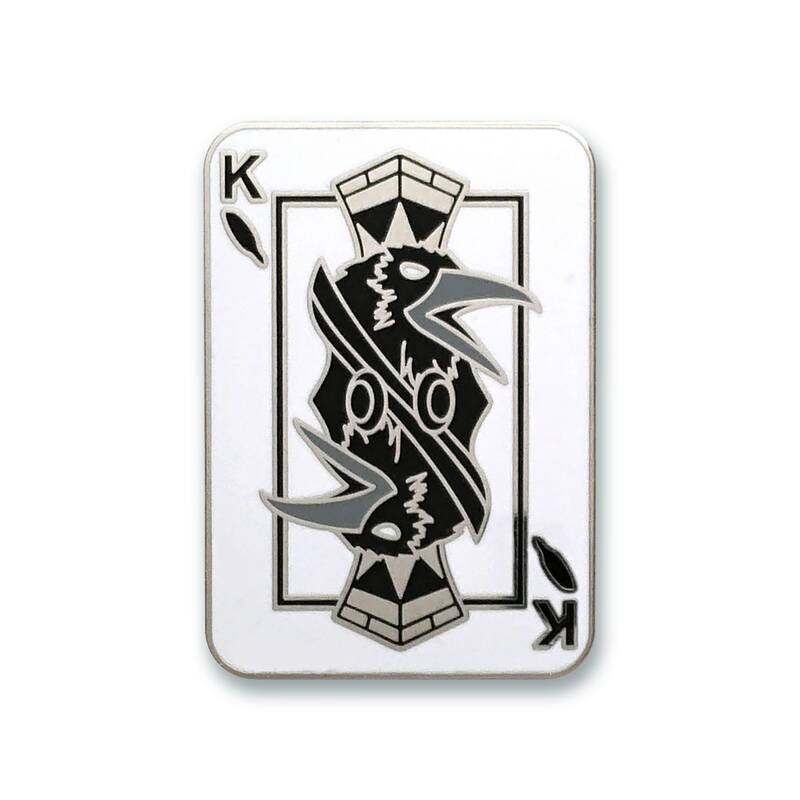 Each pin we sell helps us fund new original pin designs.